Located in the chest on either side of the heart, lungs are one of the vital organs in the human body required for respiration. Their main functions includes transporting oxygen inhaled from the atmosphere to our bloodstream and releasing carbon dioxide from the bloodstream, back into the atmosphere. 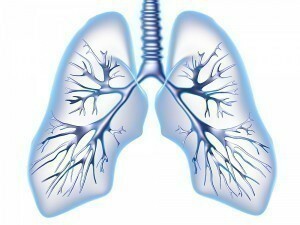 To put it simply, when our lungs do not perform efficiently we end up having difficulty with breathing. 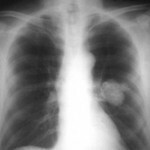 Lung disease refers to several disorders that affect the lungs. Lung cancer, asthma, tuberculosis, influenza and pneumonia are some kinds of lung diseases. The problem when afflicted with these diseases, lies in the structure of the lung tissue. When the lung tissue gets damaged, the lungs fail to expand fully. In other words, it affects the capacity of the lungs to take in oxygen and release carbon dioxide. Pulmonary fibrosis is one such lung tissue disease. In this case, the blood vessels of the lungs are affected. This hampers the proper functioning of the lungs and these diseases can sometimes even affect the functioning of the heart. As the name airway diseases suggests, a person afflicted with this kind of disease will have difficulty with regard to the airways or tubes that transport oxygen and other gases in and out of the lungs. The disease causes a blockage or narrowing of the airways and so, it makes the person’s breathing labored and restricted. Asthma is one kind of airway lung disease. In some cases, a person can also cough up blood. Other symptoms include a bluish discoloration of the skin of the person owing to lack of oxygen. Patients with lung diseases sometimes complain of having chest pain. Some of these symptoms can be misleading. For instance, the shortness of breath experienced by a person could also be caused due to a problem with blood pressure or the heart. In order to understand the symptom, the person should investigate the cause with the help of a medical practitioner. Harmful microorganisms, some types of bacteria and viruses are some of the causes that lead to lung diseases. Smoking is one of the principal causes of lung cancer. If you are a smoker (active) or if you live with a person who smokes (passive smoker) you will definitely be a potential victim of lung cancer. It is therefore advisable to consult a doctor and take professional help to quit smoking. 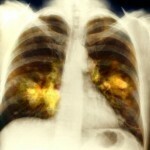 Lung diseases can also be caused due to inhalation of radon gas. People who work in mines are especially prone to being exposed to this gas. Another cause for lung diseases has found to be asbestos. The fine fibres of asbestos break apart easily and manage to find their way to your lungs. This eventually leads to diseases like lung cancer. People whose work involves ship building, car repair or any kind of work that includes insulation (using asbestos) are prone to get affected by this. It is advisable for such people to ensure that they wear protectives masks and clothing while working. Pollution is another cause for lung diseases. The treatment offered depends on factors such as the kind of lung disease being treated, the patient’s condition and the severity of the disease. In order to prevent certain lung diseases, vaccination can be provided. Medication such as antibiotics, anticoagulants, bronchodilator and corticosteroids are often given in the inhaled form. Other treatments include lung transplantation, chemotherapy and lung volume reduction surgery. If the cause of the lung disease is smoking, the person can take the help of a medical practitioner to help him / her quit smoking. A healthy diet and exercise routine is part of any treatment program. The patient can also avoid eating foods that have a tendency to irritate the respiratory tract.